After an interview earlier this week with real author Michael R. Hicks, today we Take Five with Glider-Hawk, a character from my short story "Last Stand on Cyclonus Seven." Glider-Hawk hails from the fabled world of Klebbia, a place where...um...well...I don't know much about it. Perhaps the man-hawk will tell us more about his homeworld. MATT: Hello, Glider-Hawk. Thanks for joining me today. What's it like being a part of the Interstellar Justice Corps? GLIDER-HAWK: You're using up your five questions quite quickly, human. I grant you an additional one. MATT: Tell me about the Last Stand. Do you any survivor's guilt about what happened on Cyclonus Seven? MATT: How many of the enemy did you kill? GLIDER-HAWK: I cannot say for certain. It was an overwhelming army. (ear-piercing screech of a warrior hawk) If I were to venture a guess, human, I would say thousands. Many thousands. MATT: What are your impressions of CrimsonStar? GLIDER-HAWK: (rubs mouth-beak with tip of wing) CrimsonStar was a great man. He proved to this warrior why the Klebbians should care about your earth. When I first heard the distress call from Cyclonus Seven, I did not believe it worthy of my time. Because of my affiliation with IJC (Interstellar Justice Corps), I felt obligated to answer the call for help and doubted CrimsonStar's ability to lead our group of heroes. I underestimated him. He and his mate (Windshear) were very brave. The hearts of Klebbian Warriors beat within their human chests. MATT: You speak fondly of your homeworld. How would you describe Klebbia? GLIDER-HAWK: You Earth-men speak of heaven. That is Klebbia, a world with pure, blue skies and rich, shining seas. It is a wondrous place with magnificent, mighty trees and daunting rock cliffs. To soar above Klebbia is to soar on a higher plane of existence and feel the hearts of all Klebbian beat as one nest. A Great Nest it is. MATT: Thank you so much for joining me today, Glider-Hawk. GLIDER-HAWK: I grant you one more question. MATT: You really don't have to do that. MATT: Okay, Glider-Hawk. If you could do anything differently regarding the defense of Cyclonus Seven, what would that be? GLIDER-HAWK: I would not have left CrimsonStar and Windshear. Though my final action is what ultimately saved your planet, it is not the Klebbian Way. My brethren are trained to fight to the death. I regret my wounds kept me from finishing the fight at their side, even though I understand the necessity of it. MATT: Thank you, Glider-Hawk. May the Great Nest be with you. 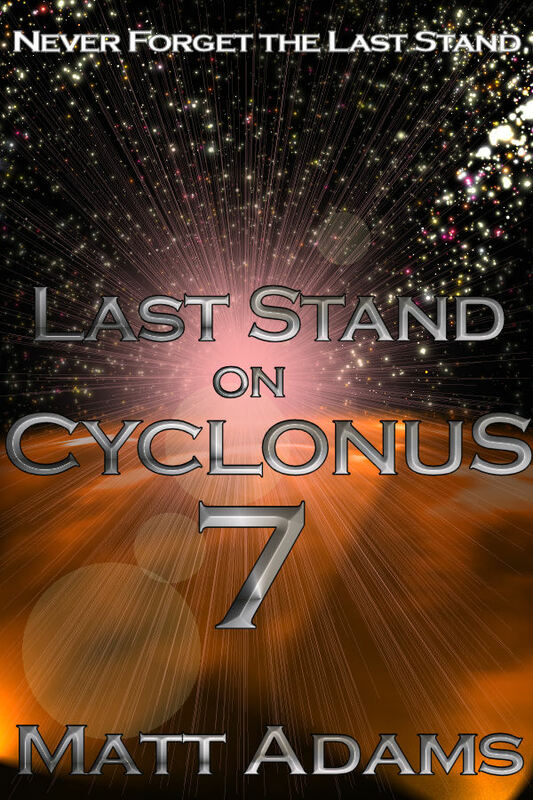 Catch Glider-Hawk in action during the "Last Stand on Cyclonus Seven," available now at Smashwords and the Kindle Store!